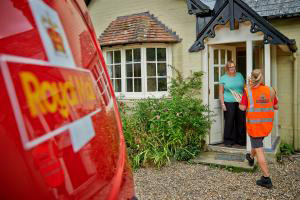 The government has raised £750m through the sale of 15 per cent of the 30 per cent stake it retained in Royal Mail, at a price of 500 pence per share. The government intends to gift up to one per cent of the shares to Royal Mail’s UK employees. Post Office, which operates the network of branches throughout the UK, remains wholly-owned by government and was separated from Royal Mail in April 2012.